Panos Remit is a fast growing Remittance Company in Nepal. It provides professional and reliable services. 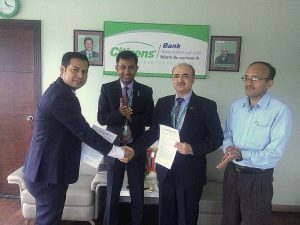 So, it has become one of the leading money transfer companies in Nepal now. If you are a registered firm and interested to earn extra revenue, please click here to send a request to become our agent. For that, you need to provide your full description in the request. Are you a money transfer company outside from Nepal? Do you want to expand your business in Nepal? Please click here to send your partnership request. We have more than 5000 payout locations throughout the country, which cover all regions and almost all regions and districts. Locate your nearest payment and sending locations and branch of Panos Remit. To send money to Nepal or receive, Panos Remit has announced a new offer to its clients. The clients, who send or receive money 3 times, will be selected for to this offer. Among the selected clients, one lucky client will be selected randomly for the bumper prize. For more information, please contact Panos Remit. We are committed to detecting and preventing money laundering and terrorist financing. Consequently, before Appointment, we perform enhanced due diligence on all Agents. For that, all transactions by PANOS are screened with enhanced controls. Panos Remit Pvt. Ltd is one of the leading remittance companies registered in Nepal and having many tie-up with international companies all around the world. Panos Remit is fast growing Remittance Company in Nepal and now it became the best option to send money to Nepal from abroad.